Hearth and Hill restaurant, a popular Park City “gathering spot”, welcomes guests to its first Easter brunch on Sunday, April 21. A fresh, abundant menu paired with refreshing beverages and entertaining live music will greet patrons this Easter and every Sunday thereafter. The seasonal, locally sourced buffet includes Hearth and Hill’s original recipes, as well as traditional favorites cedar plank salmon with chimichurri, sliced ham with scallion gravy, house gravlax, sweet potato hash, eggs benedict, and satisfying salads and parfaits. 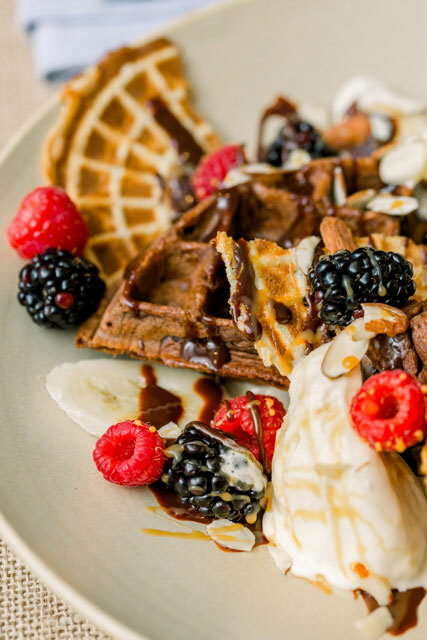 Brunch wouldn’t be complete without a variety of classic house-made desserts, including strawberry shortcake, banana pudding and stone fruit cobbler, or special brunch cocktails. Hearth and Hill is now accepting reservations for Easter brunch from 10:00am – 2:00pm on Sunday, April 21. Adults are $35, children ages 5-12 are $19, and children 4 and under are free. Live music by Casey Morgan will be performed from 11:00am – 2:00pm. For the full Sunday brunch menu and to make a reservation, please visit hearth-hill.com. Following Easter Sunday, Hearth and Hill will serve an a la carte brunch every Sunday from 10:00am – 3:00pm. Guests can enjoy live music and mountain-view patio seating (weather permitting). Hearth and Hill, located at 1153 Center Drive in Kimball Junction (next to Best Buy), captures the spirit, cuisine and culture of Park City. Featuring a fresh, new, approachable take on contemporary American cuisine, locally driven, in a fun, casual atmosphere, the recent addition to Park City’s award-winning dining scene serves as a gathering spot for friends, families, locals and visitors. Open daily year-around, Hearth and Hill includes an exposition kitchen, full bar, private dining room, patio and abundant free, covered parking. Take-out is easy to order on-line and convenient to pick up. The Hearth and Hill team is committed to “Inspiring our associates, thrilling our guests, and enriching our community.” For more information, please visit hearth-hill.com.